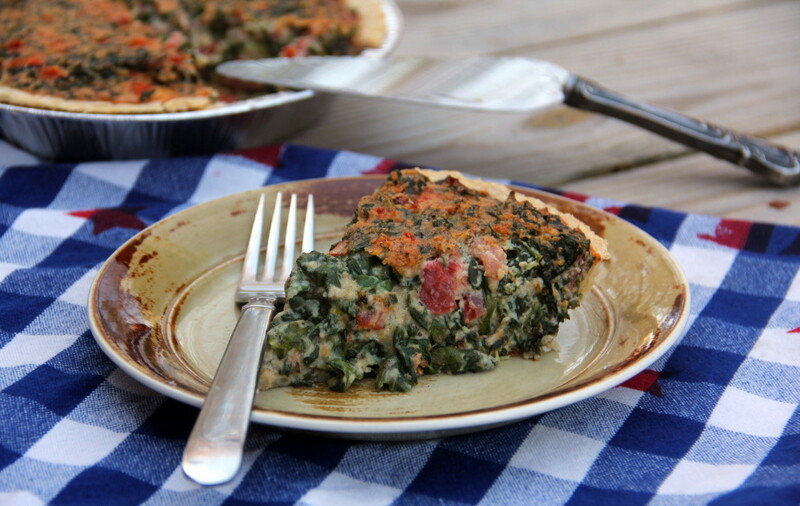 Tomato, Spinach and Cheese Quiche - w/bacon! Tomato, Spinach and Cheese Quiche–an Italian herb flavored quiche with Parmesan, Gruyere, and bacon! Are we in Italy? Be transported there with this hearty spinach and cheese quiche, flavored with Italian herbs, Parmesan, Gruyere, and BACON! It’s divine! 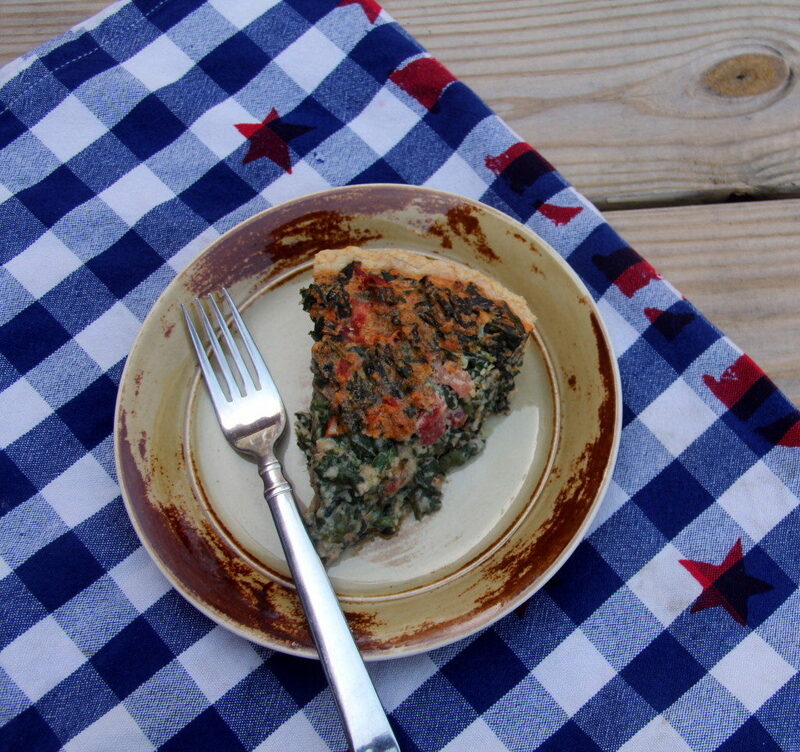 I have no idea where this easy spinach and cheese quiche recipe came from originally. I clipped it from a magazine years ago, and have tweaked it a bit since then. It’s such a great brunch dish and it’s hearty enough to be a lunch or supper meal with just a light green salad. 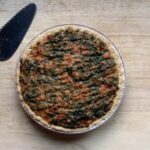 The original recipe calls for a frozen, 9-inch deep-dish pie crust, but you can make your own dough and use a regular 10-inch quiche dish. Tomato, Spinach and Cheese Quiche--an Italian herb flavored quiche with Parmesan, Gruyere, and bacon! Preheat oven to 350 and place baking sheet in oven. 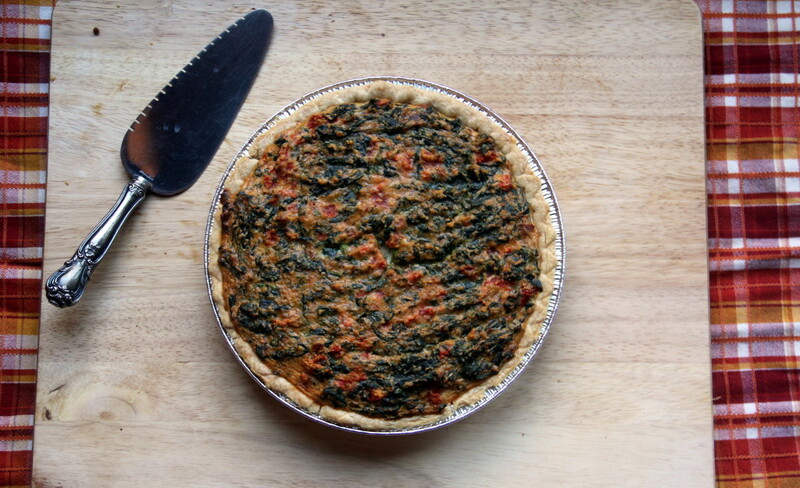 Press dough into a lightly buttered 9-10 inch quiche dish or a 9 1/2 inch deep dish pie plate. Trim dough as necessary, leaving a 3/4 inch overhang. If using quiche dish or tart pan, fold overhang into dish and press sides up 1/4 inch above dish. If using pie plate, fold overhang under itself and cover the rim of the pie plate. Refrigerate for at least one hour. (Can wrap in plastic and refrigerate for up to 2 days or freeze for 2 weeks. If frozen, allow crust to rest at room temperature for 30 minutes before baking). If using store-bought frozen pie crust, thaw and follow directions from here. Prick crust several times with fork. Crumple a piece of parchment paper large enough to cover crust, flatten, then line crust with it. Fill crust with about two cups of dried beans or uncooked rice grains and place on heated baking sheet. Bake for about 30 minutes or until crust is deep golden brown. Cover edges with foil or pie shield if they start getting too dark. Remove crust from oven and remove parchment paper and beans. Cool on a rack to room temperature, 30-40 minutes. Drain spinach in wire mesh strainer, squeezing with several paper towels to remove excess water. In a large bowl, mix together spinach, eggs, cream, half-and-half, bacon, cheeses, and seasonings. Add tomatoes and breadcrumbs and gently mix. Pour mixture into piecrust and place on baking sheet. Bake for 50-60 minutes. Remove from oven and cool on rack for at least 30 minutes before slicing.